0.9.1: Added DNG ActiveArea tag to set mandatory cropping area. 0.9.2: Better handling of file/folder names set in non-default system locale/language. 0.9.3/0.9.4: Beta version expire date moved to 01 Nov 2018: we're working on Pentax K1 support, but it is not ready yet. 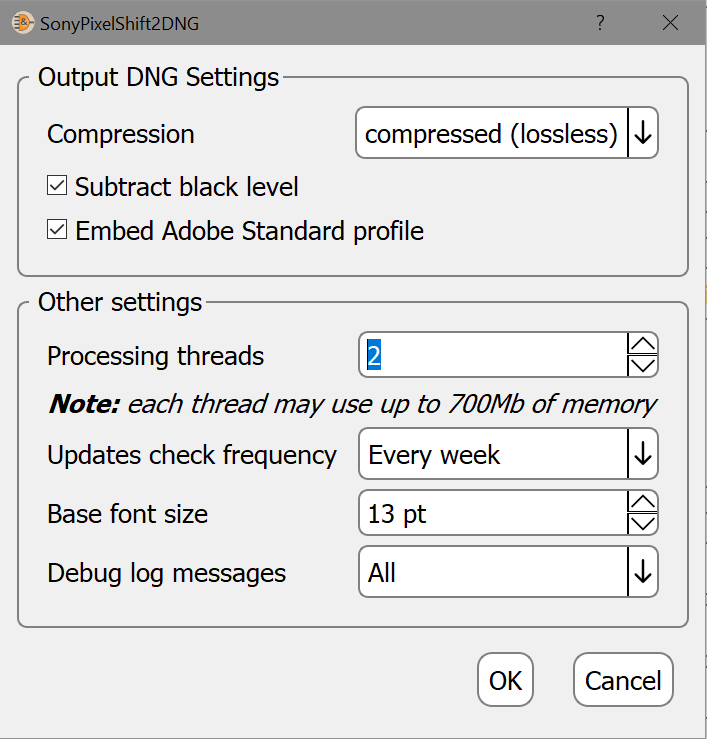 Single worker thread and Single worker thread + multithreaded DNG compression modes implemented for I/O limited storage. Read more about SonyPixelShift2DNG application. 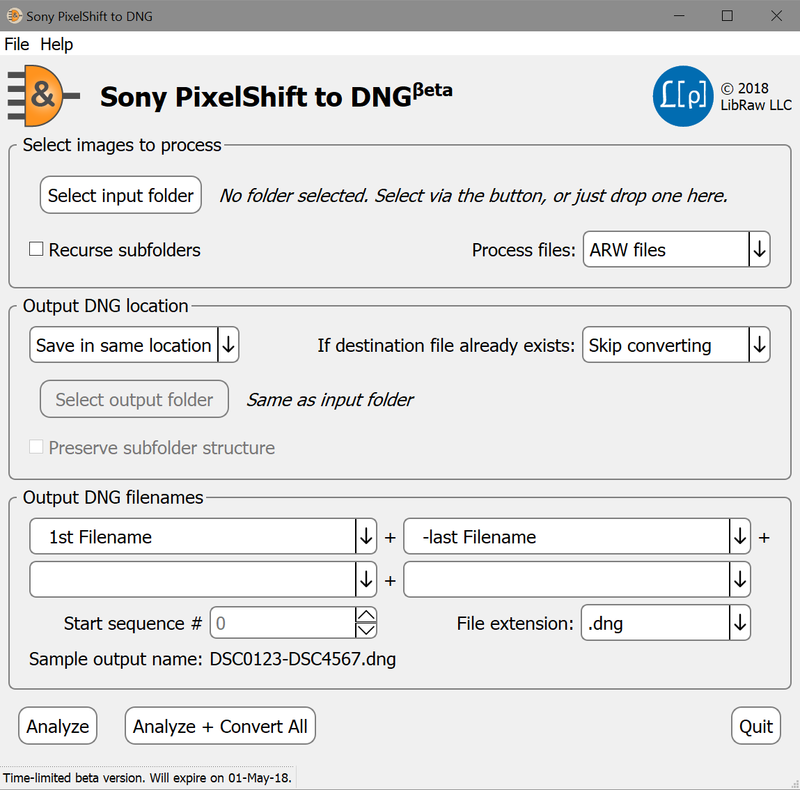 Please use separate SonyPixelShift2DNG program page download links.